Since its PC release, My Time at Portia has been treated by many as the 3D version of Stardew Valley. As a fan of Stardew Valley and farming sims in general, this naturally had me excited to give it a try. Now that I’ve spent time with the game for myself though, My Time at Portia feels like a completely different experience from farming sims of the past, despite its similar ideas. It can be a bit rough at times, but My Time at Portia rewards its most patient players with a world of seemingly infinite discoveries. Released for PC in January of this year, My Time at Portia is an adventure farming simulator with light RPG elements, developed by Pathea Games. Players create their own character and aim to make their workshop the best on the island. My Time at Portia offers at least sixty hours with just its main story alone, offering far more when taking side quests and extra activities into account. It may be hard to tell at first with the happy residents and colourful llamas, but My Time at Portia actually takes place in a post-apocalyptic world. 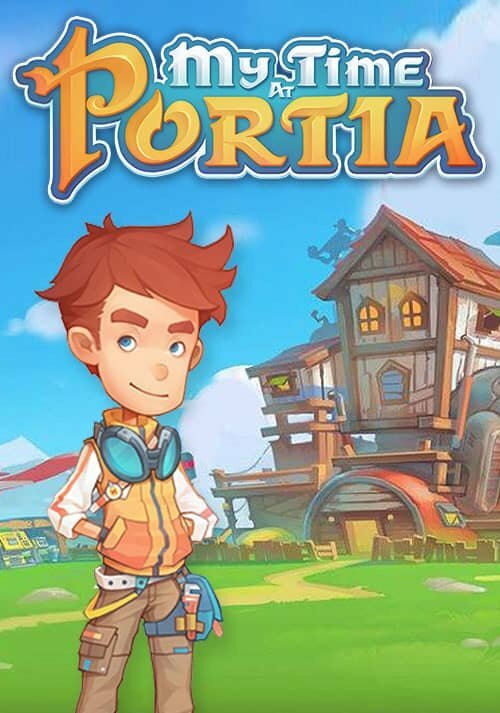 Players will need to gather materials, fight enemies and create new items to not only improve their new homes but the town of Portia as well. On the technical side of things, My Time at Portia struggles in a few areas. While the game’s colourful and cartoonish graphics definitely bring their own sort of charm, there are tons of clipping issues and moments where the camera shifts to less-than-stellar angles. My Time at Portia also suffers from occasional glitches, one of which loaded me into an empty sparring arena while my opponent stood just out of reach. My Time at Portia’s greatest offence would be its loading times, which generally range between ten and twenty seconds. Although there’s a handful of beautiful landscape art to enjoy, the number of times you’ll be looking at them during one play session can become very frustrating. Starting a new game at My time at Portia can seem incredibly daunting at first, especially if you’re unfamiliar with the genres the game is borrowing from. The world feels huge and after teaching the most basic levels of crafting items, players are essentially left to their own devices. Having said that, there’s really no wrong way to play My Time at Portia. Unlike other farming simulators, crafting is the focus of My Time at Portia. After receiving a work license, players are able to take on commissions which will require crafting different items. Some items will be easy to craft, taking a few objects which can be picked up anywhere such as wood or stones. 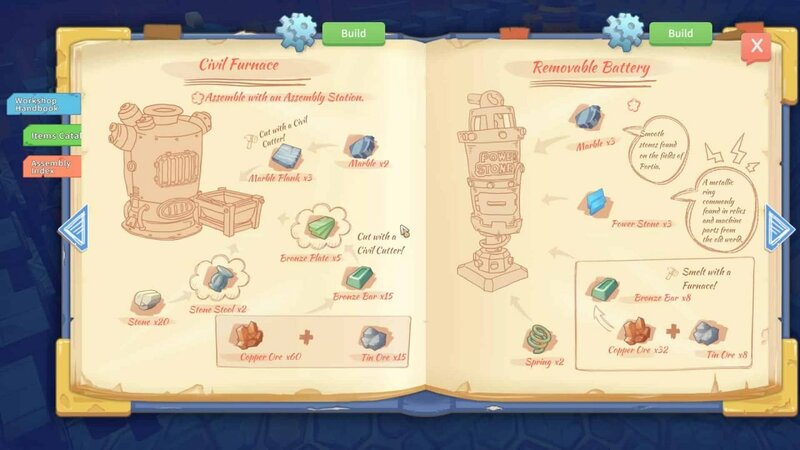 However, other items will require players to build new craft stations, which require their own sets of materials to be made. My Time at Portia doesn’t hold player’s hands at all when it comes to gathering materials, forcing players to venture out and explore all of the available options in order to get the materials they need. This may be enjoyable to some, but it can also turn the game into a bit of a chore for the less patient. If there’s anything you want done in My Time at Portia, you’ll need to do it yourself. Despite not being the main gameplay element, farming is still a present element in the game, though it plays a very small role. The greatest part about working with the people of Portia is seeing the results of your work. Progressing the game, the town of Portia will change and grow as help the citizens, making it feel worthwhile even if it does take a very long time. As expected of games like My Time at Portia, players can interact and form relationships with the game’s many characters. While the rewards offered by this mechanic are great, like crafting, reaping the benefits are a major time sink. Relationship points are accumulated slowly through chatting, giving gifts, sparring matches, and playing short mini-games. These are fun things to do at first, but they grow old on repeat, making becoming friendly with the townspeople more tiring than fun. Players can eventually get married, allowing their partner to work with them at the workshop, as well as travelling alongside them on adventures. 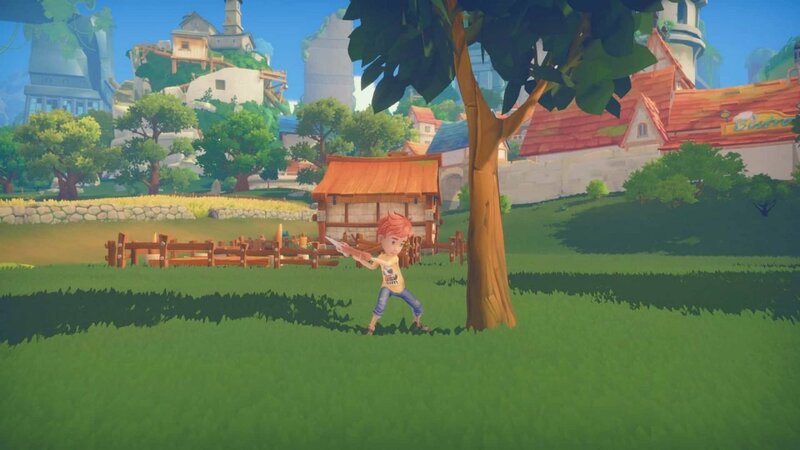 Outside of crafting and getting to know the locals, My Time at Portia allows players to engage in combat. Players can explore dungeons full of monsters and even fight large bosses at the end. It isn’t the deepest combat system, only featuring one attack button and a dodge roll, but it does help to change up the slower paced collecting and crafting. It’s a bit hard to recommend My Time at Portia to anybody but the most patient of gamers. It can be a truly fun and satisfying experience, but that depends entirely on how much time players are willing to invest in it. For as much as I found myself complaining about its technical issues while I was fumbling around and figuring things out, I found myself wanting to return to Portia over and over again until eventually, My Time at Portia became a pleasure to play. 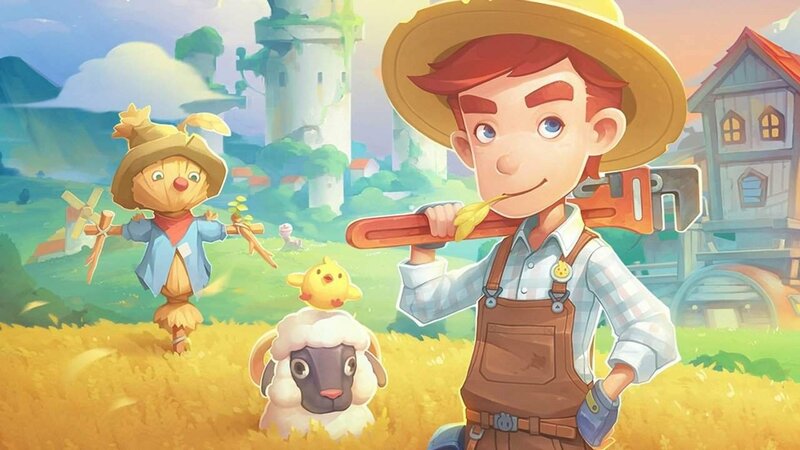 The developers have already shown that they’re working on reducing the load times for the Switch version of the game and looking briefly at the PC version, I suspect that My Time at Portia is only going to get better.